The latest issue of DC Thomson's 'Retro' title, Classics from the Comics is on sale now in all good newsagents, offering another fine medley of humour and adventure strips from a variety of the publishers' current and past titles, including The Beano, The Dandy, Topper and Sparky. There's a fun Biffo the Bear strip on the cover (which ace comics historian and cartoonist Lew Stringer tells us is by Dudley Watkins from an early 1960's Beano), but that's just one of many cracking strips, which include a fine Desperate Dan tale from 1965 on the inside cover; an ace episode of Ken Reid's Jonah, the hapless sailor; a 1963 episode of Foxy from Topper, a not-very-bright predator who must surely have been inspired by Warner Bros. Sylvester the Cat; and a spotlight section on the Beano's ever-hungry Three Bears, with reprints of some of their earliest appearances, including their first, drawn by Leo Baxendale, published back in June 1959. Considering the longevity of The Three Bears, it was a surprise to learn that the strip originally ran for just four weeks, and was eventually brought back after positive reader feedback, but not until October 1960. 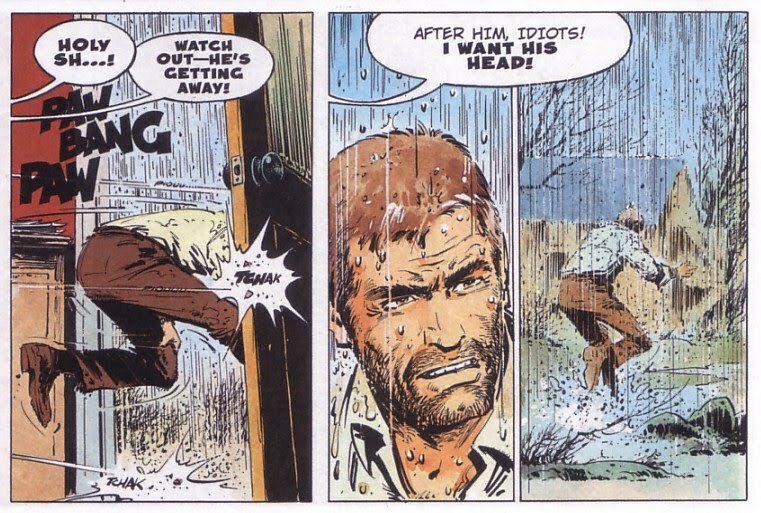 The examples selected, which include strips by Bob McGrath and Bob Dewar, are well chosen and show how the simplest of concepts can have enduring appeal. With a selection of adventure strips (the last episode of a General Jumbo story from Buddy, Space Kids from Beezer, drawn by Ron Smith), a 1953 text story (Nutty the Coal Imp from the Beano), another 'My Home Town' spotlight (Newport) and episodes of Bananaman, Colonel Blink, Superwitch, Corporal Clott and Dennis the Menace (to name but a few), this issue of Classics is another fine collection of archive material. Of course, the greedy among us still want more: Sparky's I-Spy, for a start, and some more adventure material. But with so much material to choose from, it's great to see such a well put together 'retro' title on the news stands - and I'm amazed Egmont isn't doing something similar, beyond the limited WH Smith-only specials it put out last year. The Autumn 2010 auction at British comics auction site Compalcomics has just opened, with 315 lots in the catalogue including a magnificent Beano front cover artwork drawn by Dudley Watkins and some rare Thunderbirds artwork from TV Century 21 by Frank Bellamy. 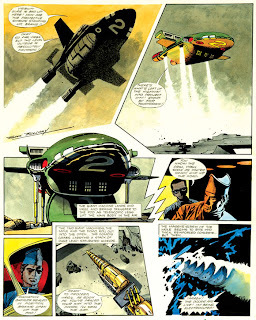 The signed Bellamy art - which appeared in Issue 220 of the classic 1960s comic and is expected to sell for over £700 - shows Thunderbird 2 landing near Project City where the Mole tunnelling vehicle is deployed to bore through the concrete walls with Virgil and Brains at the controls. 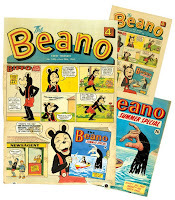 The Beano cover - Issue 1406, cover dated 28th June 1969 - features longtime cover character Biffo highlighting the publication of that year's Beano Summer Special which is also enclosed with the lot. 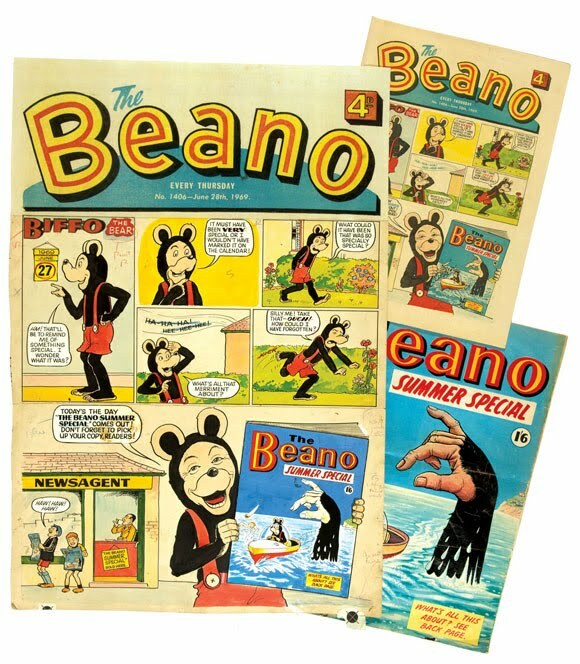 ComPal say they have auctioned only three Beano cover artworks in the last twelve years and the art is expected to sell for over £200. Another rarity on offer is at lot 10 where six of Mrs Hippo's Annuals reside, including the first from 1926. Starring the female versions of Tiger Tim and The Bruin Boys, Mrs Hippo, Tiger Tilly and the girls never made it in to comic form, just these annuals published between 1927 and 1935, which are in nice condition. 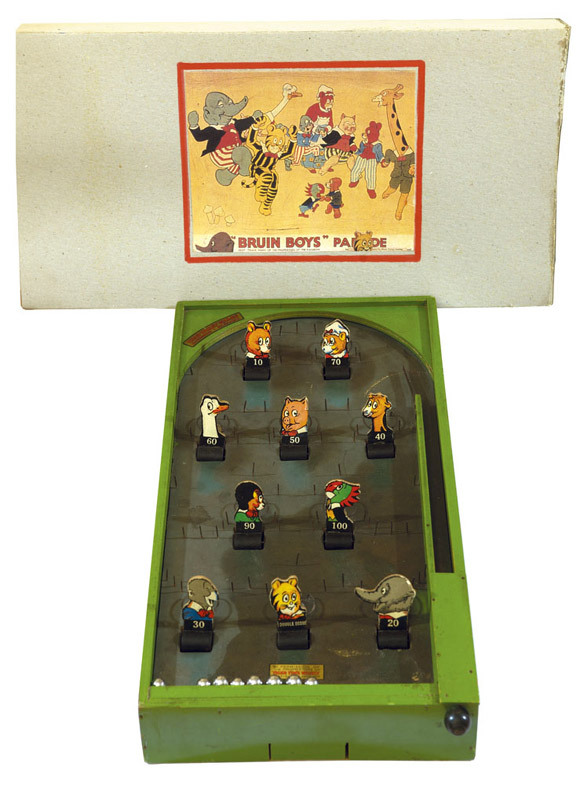 Tiger Tim is also represented with his own Bruin Boys' Bagatelle Game, a rare survivor from the 1920s and in full playable order at lot 42. Beano, Dandy and Magic early issues published by DC Thomson are in evidence from 1938 and 1939 - including The Dandy's first April Fool (Issue 18) and Christmas numbers. The 1960s are represented by a near complete run of Hurricane in five lots (one containing a flyer for No 1 of The Big One), Commando, Battle Picture Library and various lots of Lady Penelope - including Issue 1. In addition to the Bellamy art, there's also more comic work on offer including Look and Learn pages by Ron Embleton, Battlestar Galactica art from Look-In by Martin Asbury, a page of Frankie Stein by Ken Reid (and some of his great World Wide Weirdness pages from Whoopee), s1977 Bionic Woman art by John M. Burns for Look-In, Buster original front cover artworks from the 1980s by Reg Parlett, plus pages of The Broons and Oor Wullie by Dudley Watkins - the latter a regular staple of these fantastic ComPal auctions. The auction's US section profiles The Batman #12 (1942), Fantastic Four #1 with CGC late 50s issues of Detective, Lois Lane and Batman and along with our usual runs of 1960s Marvel and DC titles, there's some high grade horror from the 1970s and four original artwork pages drawn and signed by Sal Buscema. Comics collective The Sleepless Phoenix is now taking pre-orders for its 192-page black-and-white anthology on creative seed site Kickstarter.com. The planned collection - born from the demise of British publisher Insomnia Publications - will feature the work of more than 50 up-and-coming creators from the UK and the US including Martin Conaghan (Burke & Hare), Ben Bates (Sonic the Hedgehog), Jim Boswell (KiCk! 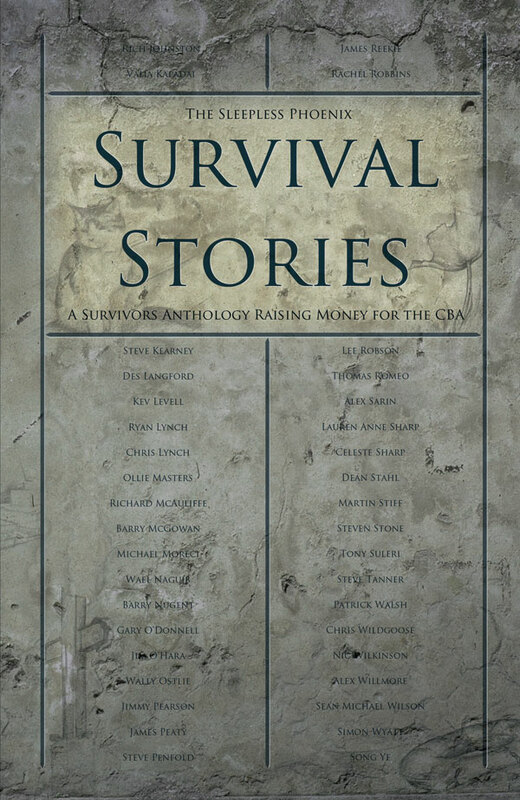 ), Lauren Anne Sharp (Kronos City), Adam Grose (Cosmogenesis), Michael Moreci (Quarantined), Peter Forbes (Oz: Fall of the Scarecrow King) and more. The collective was born out of the seeming (and abrupt) end to Insomnia earlier this year. On 30th June, Insomnia publisher Crawford Coutts filed to cease trading with the UK Companies House. Coutts never officially informed his creators and, until last week, had remained out of contact. (On Friday, Coutts sent out an e-mail releasing creators from their Insomnia contracts. Previously, downthetubes understands that anyone who'd signed a contract was still tied to Insomnia due its status as "inactive" rather than insolvent, and couldn't take their books elsewhere unless the company was formally wound up, or the contracts were officially cancelled. Now that the latter has happened, people can go looking for new publishers). Rather than allow their work to fall to the wayside, creators banded together, fast building a mutual admiration for the short comics that will appear in this anthology - and everyone involved is determined to see it get the release it deserves, with the project's Kickstarter appeal pegged at £2320 ($3600) to pay for printing. Supporters can pledge as little as one dollar to the cause to help get the book printed, although those that pledge more will be entitled to perks such as a limited edition print along with their copy, or an original sketch from one of the artists. Mike Carey (The Unwritten, Lucifer) has called the book "a kaleidoscope of graphic stories--mostly in the darker colours of the horror palette, but all the better for that". In addition to selling signed limited-edition softcover editions of the anthology, The Sleepless Phoenix is offering several unique opportunities for donors to snag original art, have their likeness illustrated in the book, and be acknowledged in a special thank you section. 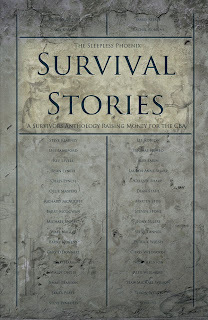 Money raised from anthology pre-sales will pay for the printing and shipping of the anthology. All profit will go to providing funding for the Comic Book Alliance, an organization that works to settle creator disputes in the comic publishing industry. This year’s British International Comics Show over the weekend on 16th-17th October is getting closer and 2010’s incredible international guest list is the largest since the show began in 2006. Some of the most renowned artists and writers from all over the globe, as well as here in the UK, will be appearing for signings, exclusive interviews and guest panels. Creators attending include Paul Cornell, Tommy Lee Edwards, Gary Erskine, Peter Gross, Dave Hine, PJ Holden, Charles Vess and Bryan Hitch will be discussing their work and revealing secrets to fans in live events as well as launching new books. Other top names attending include Australia’s Nicola Scott, Japan’s Yuko Shimizu, Turkey’s Mahmud A. Asrar and Canada’s Yanick Paquette, not to mention some of Britain's most respected creators including Walking Dead’s Charlie Adlard, Hellboy’s Duncan Fegredo, Criminal’s Sean Phillips and the legendary Dave Gibbons of Watchmen fame -- plus many many more. “We’re really pleased to be in a position to offer fans the chance to meet so many huge names at the show this year as well as offering such a fantastic events schedule” said show Co-organiser Shane Chebsey. The now Legendary Friday Night BICS Launch Party is also back this year with all guests, exhibitors and early pre registered attendees getting free entry at Birmingham’s popular Oceana Nightclub with a special VIP area. What better way for fans to start their weekend of comics heaven, than mingling with their favourite comic creators? Now it's Time for Hammer... beer?!?! Hammer Films have promoted themselves in some pretty inventive ways over the years with DVDs, a board game, T-shirts, mugs and poster based on the famous horror films. 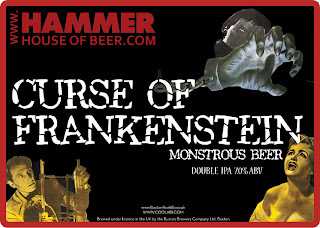 Now we can look forward to three new Hammer Beers which look set to go down a storm in the bar at horror conventions! 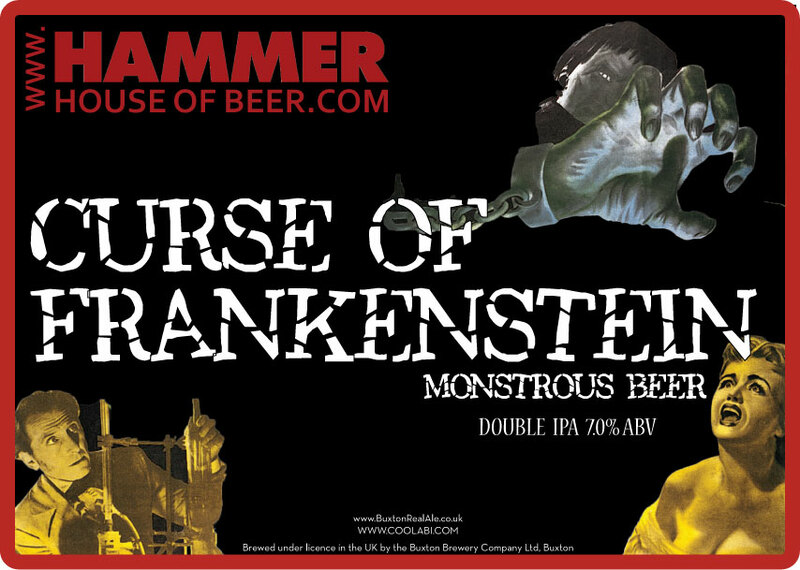 The Buxton Brewery Company Ltd is to produce three Hammer-themed beers - Coffin Ale, Dracula's Desire and Curse of Frankenstein which will be available as bottles and on draft from September. The bottle labels and beer pump clips will be illustrated with classic poster images from the Hammer archives. If you can't find them in pubs or shops, you'll be able to order them online. Check out the official website for details. Talking of Hammer, Titan Books are releasing The Art of Hammer, the first ever collection of the company's iconic film posters in book form, compiled by Marcus Hearn, in October. Hammer Films were almost as well known for the way in which they sold their films, as for the films themselves. The Art of Hammer is a celebration of movie art at its best - a large format, lavish hardback bringing together hundreds of rare posters from around the world, and features Hammer's greatest films. The publishers of British comics magazine Crikey! have reluctantly decided to close the magazine. "We tried until the last minute to keep going," editor Tony Ingram told downthetubes, "but unfortunately a couple of guys who seemed serious about buying into the mag ultimately didn't come back with anything in time and Glenn Fleming feels that he cannot afford to continue it alone. "To just drift along until we run out of money and then disappear without a proper final issue would be doing a disservice to our readers," he adds. Crikey! 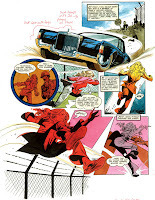 16 features an exclusive interview with none other than 2000AD artist Mick McMahon, the magazine takes a peek at the Look-In strip you never saw, dtb contributor Ian Wheeler shares his thoughts on Action Force and Rab Smith entertains with a nostalgic look at the fab Sparky character 'I Spy'. There's also a feature on Alan Moore and Steve Parkhouse's The Bojeffries Saga, Jamie Hailstone remembers Stingray in TV Century 21, Cranston McMillan speaks softly about his Grandma and Glenn B Fleming gives us his tribute to the late Joe Colquhoun. And as if that isn't enough, apart from the four extra pages the publishers have thrown in at no extra cost, Tony Ingram is caught on his knees again looking through a certain lady's keyhole before setting a few things straight with Rogue Trooper. Plus, John Devaney concludes his 'Spooks' feature and Tony pops up again with the latest report on the 20th century's least favourite dictator, Adolph Whatshisname. And finally, Crikey's resident cartoon character 'Hatch', who graces the cover of this final issue, looks like he's heading for trouble as usual but we're told he may be appearing in other places soon. Crikey! was side swiped by the loss of its major distributor last year and, despite numerous attempts to secure new sales routes, it did not recover. Sadly, some potential distributors simply considered the magazine nothing more than a fanzine. "It was never that for Tony and I," Glenn told downthetubes. "Crikey! 's passing is a very sad moment for me. I've had a great time working on it, meeting people in the industry and more." The Crikey! team are thanking their loyal readers and promoters for their help, noting the Crikey! website and will continue. "I hope it was as good a product as I thought it was, and that it was as much fun to read as it was to write/edit," says Tony. "It is the single thing I am most proud of having been a part of." Here at downthetubes, where our raison d'etre is the promotion and support of British comics talent old and new, we're very sorry to hear this news: we know from publishing a smaller-run title, Eagle Flies Again, some years back, how hard it is to publish this kind of title. It will be much missed. (With thanks to Richard Caldwell): The Lulu Awards Nominations - which aim to recognise amazing comic and cartooning work by and/or about women worldwide - close next week. Eligible comics for nomination in this year’s awards must have been published (via print or the Web) in 2009. Visit the official 2010 Lulu Awards page for more details and to enter your nominations, which must be received by 23rd August. The awards ceremony will take place at the Long Beach Comic Con in the US on 29th October 2010, working in partnership with the Friends of Lulu organisation to expand the boundaries of the comic book reading audience, and their support of women in comics. Friends of Lulu was established in 1994 as an organization to promote and celebrate women in both the comics industry and fandom. They have also taken up the cause of expanding the all-ages comic reading audience. Titan Books has put out an open call to recruit book cover illustrators for their future fiction titles. 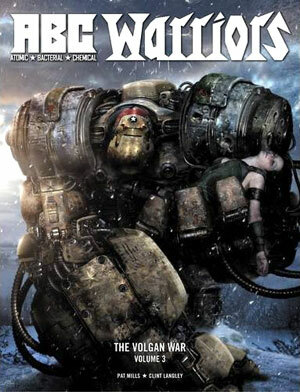 The opportunity comes on the back of an announcement that Titan will be continuing to expand its fiction range in 2011, with new science fiction and fantasy series such as T.S. Church’s RuneScape, the art for which appears as the masthead for the online recruitment call. The first Leeds Alternative Comics Fair takes place on the 18th September 2010, 12 noon-6.00pm, at A Nation of Shopkeepers bar (behind Leeds City Art Gallery). The event is being organised by comic creators Steve Tillotson of banal pig comics and REET! Comics Hugh “Shug” Raine. “We have both exhibited at the excellent Thought Bubble Festival for the last few years but want to see more events like it in and around Leeds and West Yorkshire," says Steve. 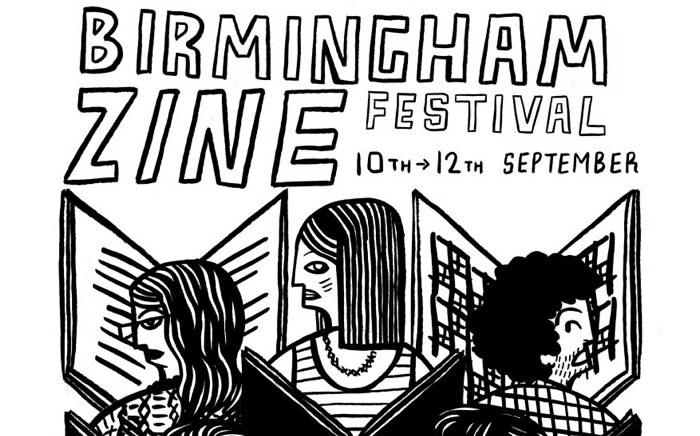 "We were inspired by the events put on by the Alternative Press collective in London, the Alternative Press fairs and “Are You Zine Friendly” events, and wanted to try and replicate that in the north, raising the profile of small press comics in the north and staging an enjoyable social event in the process. "We've selected a range of creators that we feel represent the broad scope within the small press comics scene in the north and make up an interesting selection of products to buy and browse," He adds. "There will also be a communal table for other creators to drop their comics off and sell. It's not Gerry Anderson's best-loved series - even though it was his most expensive to date - and it certainly isn't the kind of science fiction that made his name, such as Thunderbirds and UFO. But The Protectors - out on DVD next week in the UK - does feature a top-notch cast that includes Robert Vaughn and Nyree Dawn Porter. Each of the world’s major cities has its best detective agency, and each of these detective agencies has its best agent. These super-agents are The Protectors - and that was the rather vague concept behind this glamorous adventure drama. Robert Vaughn stars as Harry Rule, the suave American who leads the operations of three private sleuths whose job is to protect the innocent; Nyree Dawn Porter plays the elegant, Rome-based Contessa di Contini, while Space:1999 star Tony Anholt is Paul Buchet, a French agent operating out of a Paris apartment. 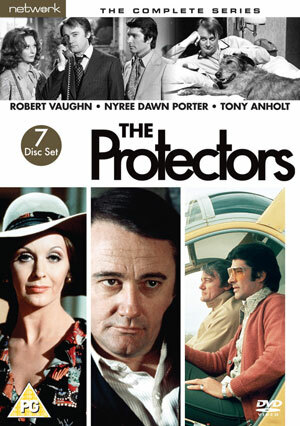 Despite its lack of science fiction content The Protectors, commissioned by Lew Grade that first aired in the early 1970s, proved a popular show that ran for two seasons and a third was in production before it was cancelled after sponsor Faberge withdrew financial support. Produced by Gerry Anderson and Reg Hill (Thunderbirds), this glossy, stylish series was one of ITC’s most lavish and ambitious projects, boasting intriguing, action-packed storylines (which, reportedly, Robert Vaughn once claimed he could never understand) and extensive location filming in London, Malta - which served as a variety of Mediterranean locations - Venice and rural Hertfordshire. The theme song, 'Avenues and Alleyways ' by Mitch Murray and Peter Callender was a chart success for singer Tony Christie, reaching Number 37 on its original release and Number 26 in the UK singles chart on its re-release in 2005, hot on the heels of 'Is this the Way to Amarillo'. This new 7-DVD set from Network DVD comprises all 52 half-hour episodes, originally broadcast on ITV between 1972 and 1974. • Despite its cult status, The Protectors doesn't appear to have much of a web presence, although The Protectors Online offers a bit more information on the show and there is an excellent series guide on the Star Trader web site. Fanderson has a location guide to its UK filming sites, and this Wikipedia entry. Comic creator charity Draw the World Together is running a series of three eBay auctions, the the first starting at 11pm GMT on the 26th August. Draw the World Together is an organisation that has been created to unite arts communities in providing possibilities for children who do not have the opportunity for basic healthcare and education. All the funds raised by the activities of DwT are currently helping the work done by EveryChild in India. The full listing of the items available will be here on DwT's eBay page when it goes live on the 26th and consists of sketches produced by some of DwT's favourite artists of some of your favourite comics characters. 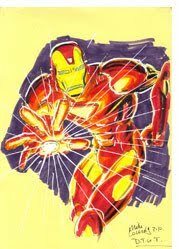 The first auction will be followed by two other eBay auctions for sketchcards and one featuring Transformers material. The Temple APA - a group of some of Britain's most enthusiastic comic creators, most of them on the indie press scene - has moved homes on the internet after the closure of its ning site, after that community hosting service ended its support for non-paying sites. "I've still got to give the site a bit of an overhaul" says Temple member David Hailwood, "but it's gradually getting there." Members of the group include Davey Candlish, Paul Harrison-Davies, Paul Eldridge, John Kirkham and others. Forbidden Planet London will host a signing by Pat Mills and Clint Langley on Thursday 16th September (6 – 7pm), signing ABC Warriors: The Volgan War Volume 3. Pat Mills is one of the founding fathers of 2000AD, while artist Clint Langley images can be seen worldwide in comics, on novel covers and in the conceptual design for advertising and films. 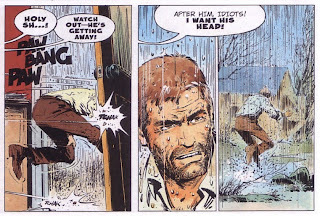 Langley's first comic strip work was Dynosty, which appeared in 2000AD. He’s since worked on various comic strips such as Slaine, Judge Dredd and Warhammer. The latest ABC Warriors collection begins as the countdown to Zippo’s execution continues...only the Warriors can stop their comrade from being melted down by the ruthless G Men. If that wasn’t bad enough, the Warriors are also set to be betrayed by another member willing to follow Volkhan and his destructive cause. And just who is the mysterious resistance figure known as the ‘Urban Fox’? 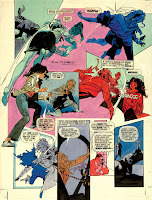 Tube Surfing: Alan Moore, web/hyper/small press/all types of comics and events aplenty too! Alan Moore guests on Utter Shambles, a podcast hosted by comedians Robin Ince and Josie Long. 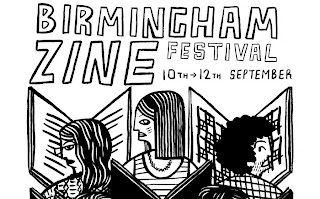 Pete Ashton will be talking about the emergence of the British small press comics scene in the early eighties at the Birmingham Zine Festival in September. The Forbidden Planet International blog has posted a very useful comics and zine-related events round-up. 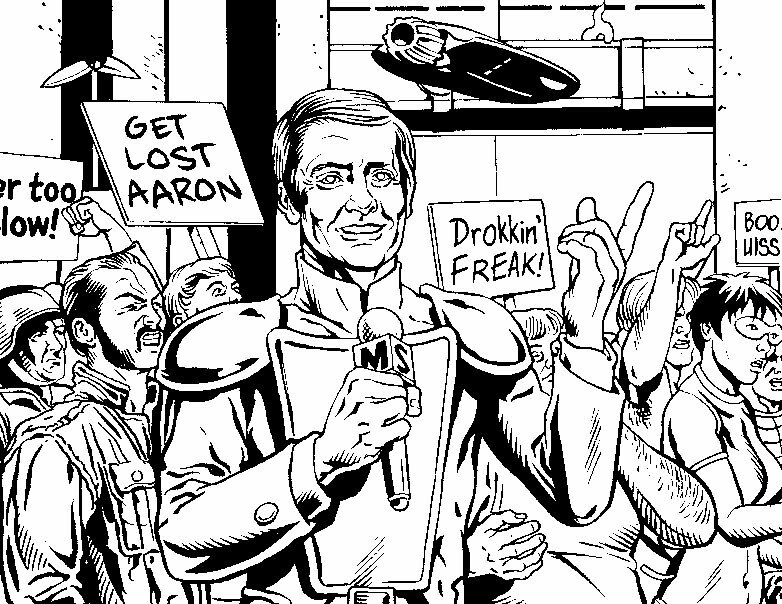 The latest issue of the Judge Dredd Megazine, Meg 301, has a distinctly Scottish flavour to its art and script droids. 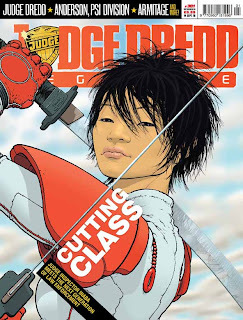 Behind a lovely Judge Inspector Inaba cover by Frank Quitely, from Cal-Hab's west coast, comes the Dredd story The Natural (shown below) about a Mega City One athlete who, controversially, refuses cybernetic assistance for his races. Written by Gordon Rennie, pencilled by Graeme Neil Reid, both from the east coast and inked by west coast Gary Erskine, the strip is the debut for Graeme in a 2000AD title. Graeme has been talking about his route to drawing Dredd professionally on his blog where he bravely shows off some of his earliest Dredd artwork from 20 years ago, as well as the spec scripts and responses he received from the Nerve Centre at the time. The Judge Inspector Inaba story Hondo-City Justice, with art by Neil Googe, is written by Cal-Hab-er Robbie Morrison while Robbie's Nikolai Dante co-creator Simon Fraser, another Cal-Hab-er, writes and draws Lilly MacKenzie And The Mines Of Charybdis now on its fourth episode in which Lilly and Cosmo finally make it onto the surface of the planet. Both stories are coloured by Gary Caldwell, yet another Cal-Hab-er. Last but certainly not least of the Cal-Hab droids in Meg 301 is Alan Grant who is writing the Anderson Psi-Division story The House Of Vyle, drawn by Boo Cook, in which Cassandra is called to the hamlet of Salem just outside the Mega-City's walls where strange things are afoot. 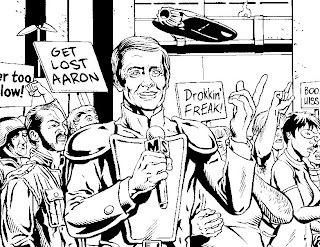 Megazine 301 also includes Armitage by Dave Stone and John Cooper while the reprint is a selection of Mick McMahon's Judge Dredd stories. • Judge Dredd Megazine 301 is available from newsagents and has a cover price of £5.99. • Graeme Neil Reid, Gary Erskine and Simon Fraser are all members of the daily artblog Scotch Corner. Following up on our past stories on new Dan Dare merchandise, a mention for UK toy company Russimco's Dan Dare retro toy line is long overdue here, so let's redress that right now. 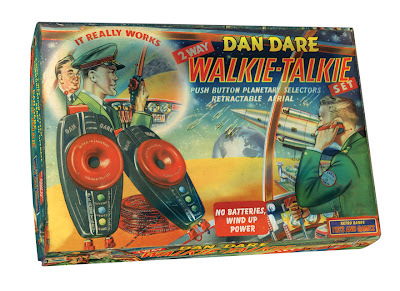 All the toys - due for release later this year - are reproductions of Dan Dare products originally released in the 1950s, but have been adapted to comply with modern safety regulations governing toy making. The toys come complete in boxes that faithfully emulate the originals, some of which fetch sell for a high price on auction sites and collector fairs. • The Dan Dare Planet Gun Set was originally issued by Merit, made in England by J & L Randall Ltd. This 'space pistol' comes with three propeller disks. Merit released several Dan Dare guns, as did Palitoy and Lone Star. Originals can sell for around £60. • This Dan Dare Circular Jigsaw puzzle is based on a 1950s jigsaw published by Waddingtons, featuring classic Dan Dare images. 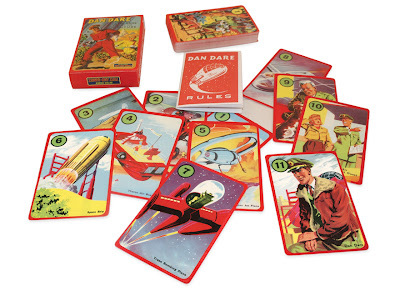 • Possibly one of the most entertaining retro products in the range, this Dan Dare Card Game was originally released in 1953 by Pepys. We suspect most original editions will be pretty dog-eared through plenty of play by now, so I'm sure there will be fans out there keen to get a new set! • Finally, there's this modern version of Merit's Walkie Talkie Set, first released in 1953. You'll be pleased to hear that Russimco's version is wind-up, rather than battery operated. Who is XIII? Cop, gangster, secret agent or mercenary? 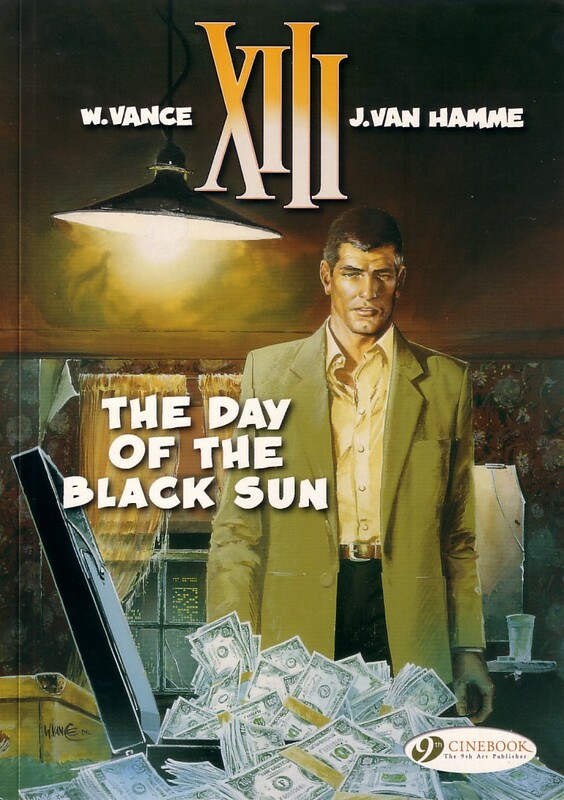 The stories concerning the amnesiac man with "XIII" tattooed on his shoulder written by Jean Van Hamme and illustrated by William Vance ran to a total of 19 French albums with the first story The Day Of The Black Sun beginning in Spirou issue 2408 in 1984 as Le Jour Du Soleil Noir and the final album, Le Dernier Round, being published in 2007. With the series complete in the French speaking world and never having been translated into English beyond the third album, Cinebook are now releasing the complete series of books at a rate of one every two months which means that they will reach the first of the books that hasn't appeared in English before towards the end of 2010 and they therefore aim to complete the set by 2013. A badly injured man is washed up on a remote American beach and is taken in by an elderly couple who, with the help of a washed out doctor, nurse him back to life over the course of two months. The bullet wound to his head, as well as leaving him with a patch of white hair where it hit, has left him without any memory whatsoever of his previous life. The only clues are a tatoo of XIII on his shoulder, a safe deposit box key and his ability to defend those around him with whatever weapon comes to hand. When assassins kill the elderly couple and almost kill him, he leaves for the port of Eastown where the safe deposit bank is located. There he has a run in with a police lieutenant, who seems to know who he is, as well as apparent mobsters and a secretive government agency. Colonel Amos of this agency tells him of the assassination of the US President some two months beforehand, an event referred to in the papers as the Day of the Black Sun, and shows him a picture of the alleged assassin who appears to be XIII himself. The Day Of The Black Sun is a contemporary thriller that was originally published in 1984 and it shows in the art with vehicles and clothing styles typical of the time period. 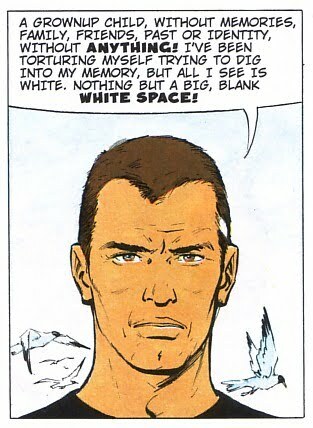 But this is no criticism of Vance's art which stands up well to the intervening years and portrays the numerous characters and locations well. Published only three years after the attempted assassination of President Ronald Reagan, Van Hamme's plot would have been as contemporary as Vance's art and lays down the beginning of multiple story strands that will no doubt play out over the next four books that take in the first major story arc of the ongoing series. XIII has proved to be very popular in the French speaking world with 19 different albums as well as having been turned into both a computer game and a TV mini-series as well as a spin-off bande dessinee series XIII Mystery, the third title of which will be published in French in October 2010. XIII - The Day Of The Black Sun is the beginning of a saga that will take Cinebook over two years to complete. It is a book that tantalises for what is to come, leaving the reader with the beginnings of what could well be multiple storylines. With Jean Van Hamme's record on other contemporary thrillers such as Lady S and Largo Winch, this looks like it will be a journey well worth taking. 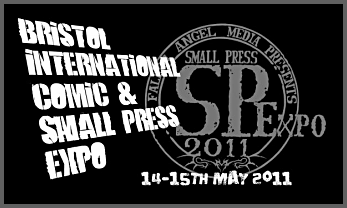 Next year's Bristol International Comic and Small Press Expo will be on Saturday 14th and Sunday 15th May 2011. With 3 extra exhibitor and trading spaces and 8 extra event areas this is now the largest independent and small press show in the UK. Visitor numbers at the Small Press Expo in 2010 were double that of 2009 and the Team SPExpo organisers aim to double them again for 2011. The full website with guest and event details will go live on 21 August 2010 but in the meantime venue and dealer table booking details are already available. 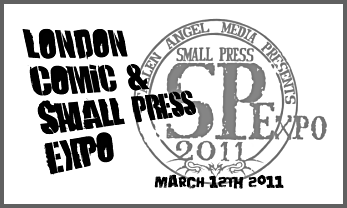 In addition to Bristol, Team SPExpo have filled the hole in the events calendar left by the demise of the UK Web And Mini Comix Thing in London and have organised the new London Comic And Small Press Expo which will be held on 12 March 2011. More details on this new event covering indie, small press and web comix, including its venue, have yet to be announced but will be available on the website on 21 August 2010. The website for the 2011 Bristol International Comic and Small Press Expo as well as the London Comic And Small Press Expo is here.